Dessert doesn't need to be complicated to be outstanding; try this recipe with apples or peaches, as well. Preheat grill on sear setting. Toss pears with butter and brown sugar; grill for 5 minutes or until fork-tender. Place each pear half on a plate. Top with vanilla ice cream and sprinkle with gingerbread cookie crumbs. 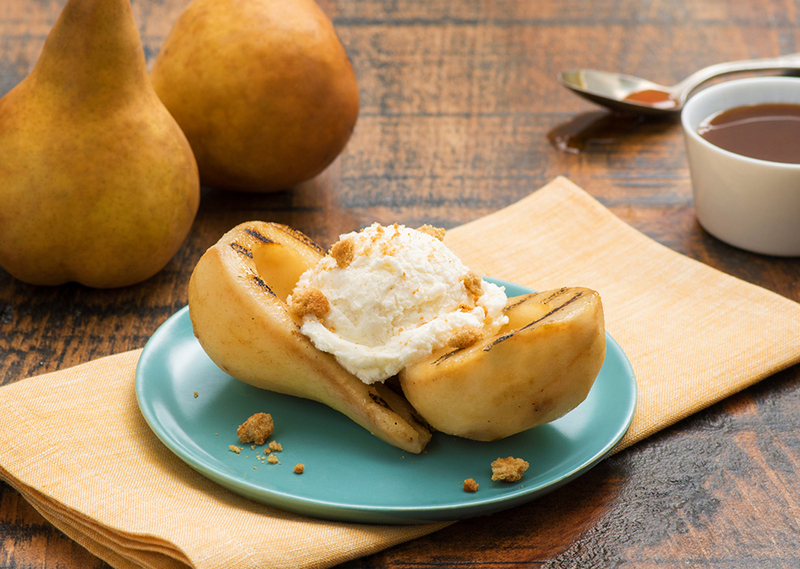 Tip: Drizzle pears with caramel sauce before adding ice cream if desired.